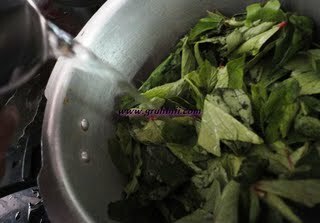 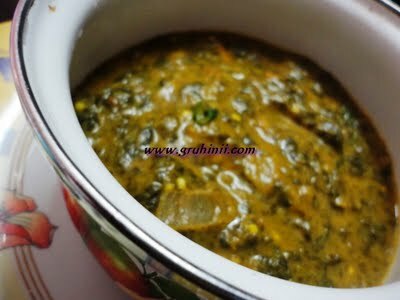 Wash gongura and put into a pressure cooker. 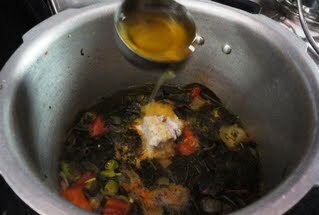 Add a cup of water. 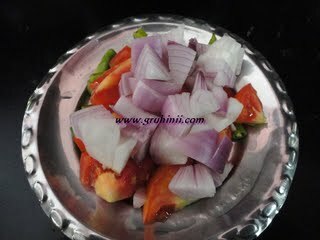 Add chopped oinions, tomatoes and green chillis. 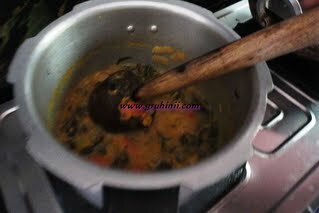 Add haldi, ginger garlic paste, red chilli powder and pressure cook for 2 whistles. 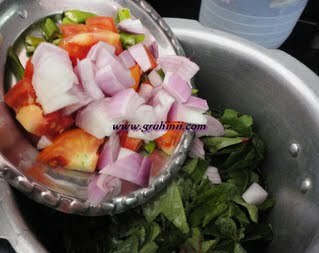 Add oil and coconut paste and cook for 2 to 3 mins.